The Trump administration’s taxpayer-funded “Religious Freedom Task Force” is “one-sided” and uses religion as a “sword” to deny vulnerable people basic human rights. Those aren’t the words of atheists but of religious groups in the U.S.
We first wrote about this issue earlier this week, when we pointed out that a secular country like ours shouldn’t promote any particular religion’s agenda, especially if taxpayers are footing the bill. The new Task Force announced by Attorney General Jeff Sessions breaks both of these simple rules and will allow religion to be used to discriminate against anyone they disagree with. But some of the most vocal opposition to the Task Force, following the lead of secular and LGBTQ groups, is coming from other religious organizations. Amanda Tyler, executive director of the Baptist Joint Committee for Religious Liberty, said she agreed with some but not all of Sessions’ announcement speech. “In aligning the government closely with a narrow viewpoint on religious freedom — which fails to balance concern for protection of the rights of others with the right to exercise one’s religion — the Trump administration is sowing division where there should be unity on our first freedom,” Tyler said. This is a one-sided Task Force. The people who crafted it don’t seem to have given any thought whatsoever to the separation of church and state. 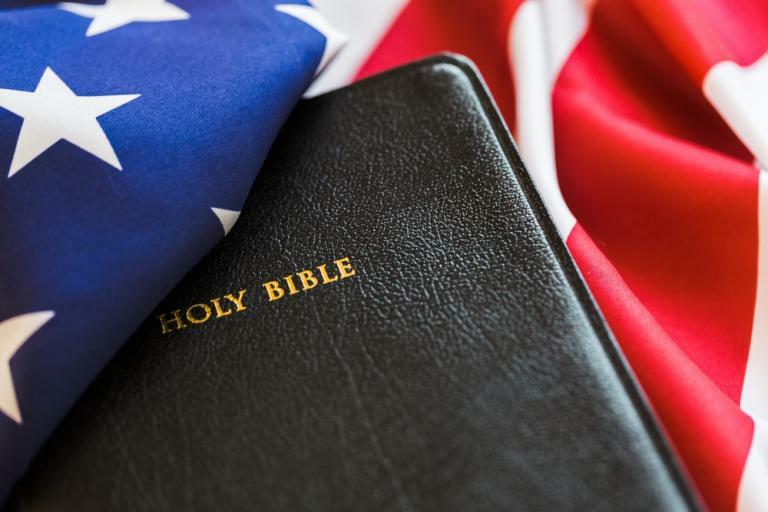 There is near-unanimous agreement on both sides that the Task Force will mostly focus on helping Christians discriminate against non-believers and LGBTQ people, making those divisions even greater. No wonder a group called Muslim Advocates was also concerned. They pointed out that the Task Force may ultimately punish religious minorities, especially given the administration’s track record on the treatment of Muslims. “Our country was founded on the belief that no one should suffer discrimination or persecution because of their faith. Yet, from day one, this administration has made a mockery of that bedrock American principle by using religion not as a shield to protect the vulnerable from abuse, but rather as a sword to deny basic rights and dignity to others. Even in the Bizarro World known as 2018 politics, keep in mind that a lot of religious groups are as frustrated with the administration’s blatant promotion of conservative Christianity over all other faith (and non-faith) groups. They don’t want this Task Force. They don’t want to see a repeal of the Johnson Amendment. They’re sickened by Muslim bans. They see the constant religious hypocrisy of Republicans who call themselves Christians while rejecting everything Jesus stood for. There’s a reason secular organizations are working hand in hand with them to advance our shared goal to live in a country where one brand of one religion doesn’t get special treatment.